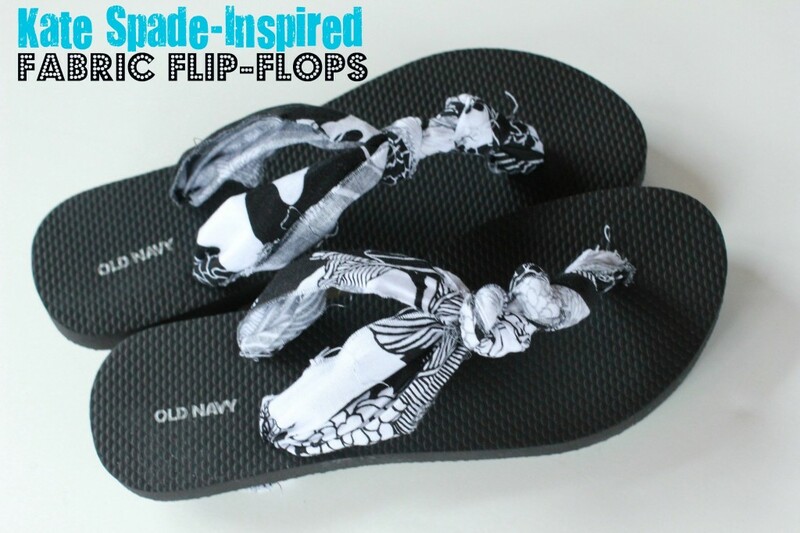 Flip-flop weather is almost here! 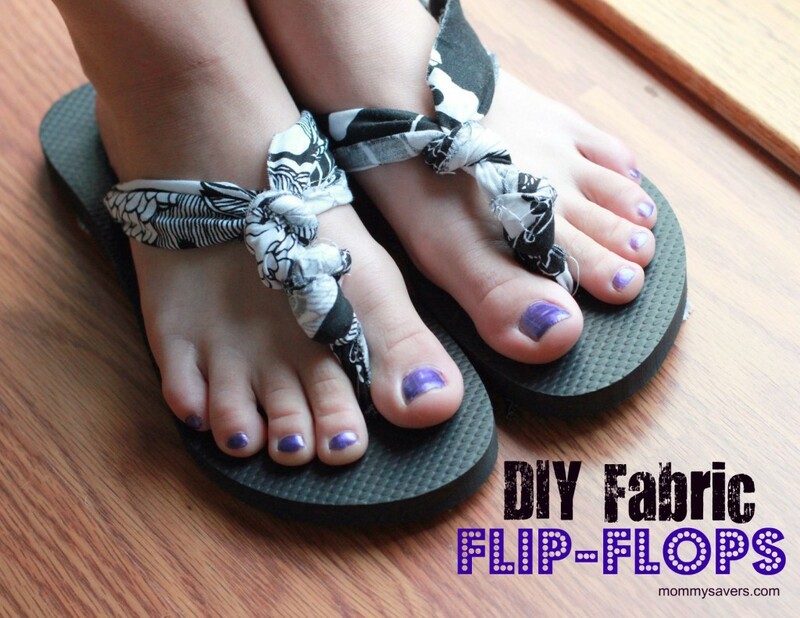 For a frugal spin on this summer wardrobe staple, try making a pair of fabric knotted flip-flops. 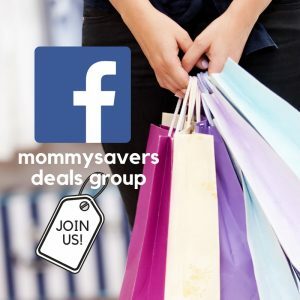 They can be made for as little as $1 per pair if you snag the flip-flops on sale and use fabric scraps you already have at home. 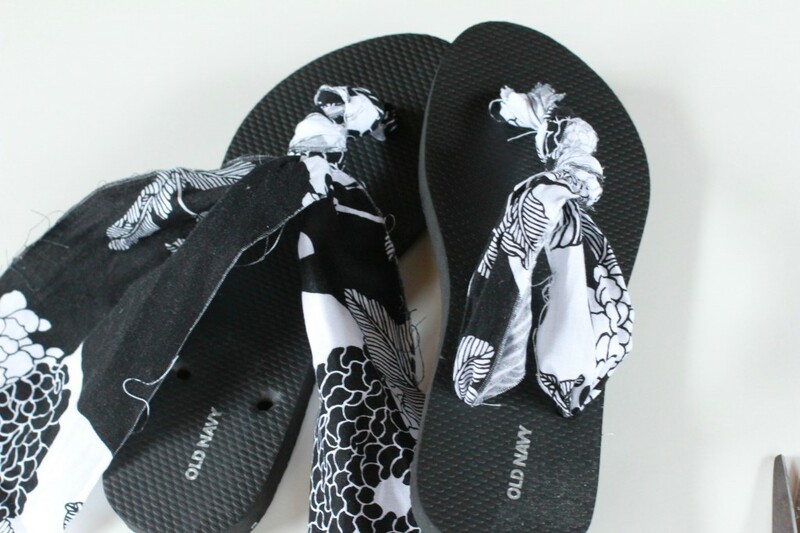 The beauty of this project is how you can customize them: your fabric choice, the color of the flip-flop bottom, and even the width of the straps. They’re perfect for any size or style! 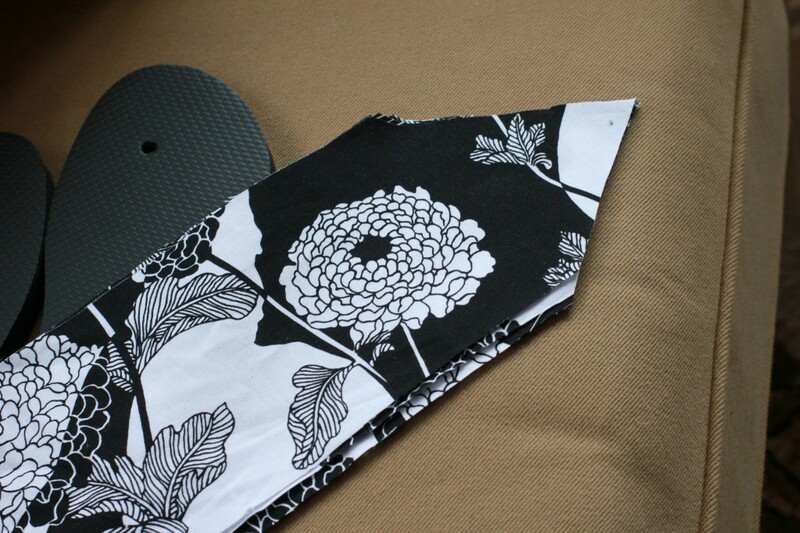 The Kate Spade print that inspired my fabric choice (my fabric was purchased at JoAnn Fabric and Crafts) is pictured here. Isn’t it pretty? However, I’ve never spent over $200 on a pair of shoes and don’t plan on starting anytime soon. Plus, these heels don’t look nearly as comfy as a pair of flip-flops. 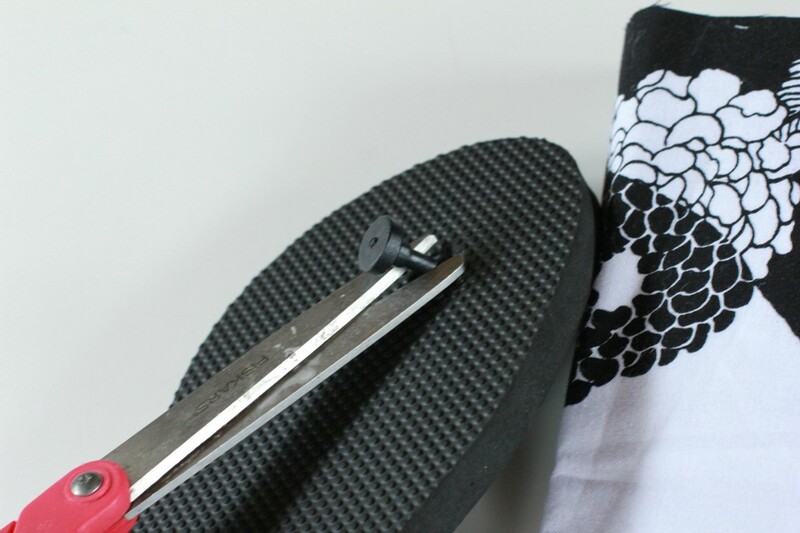 Remove the straps of the flip-flops by turning them over and cutting them with a scissors. You’ll then be left with the flip-flop bottom. Cut a point on one end of each fabric strip. Poke two of the strips through each hole between the toes. Each strip is one strap. 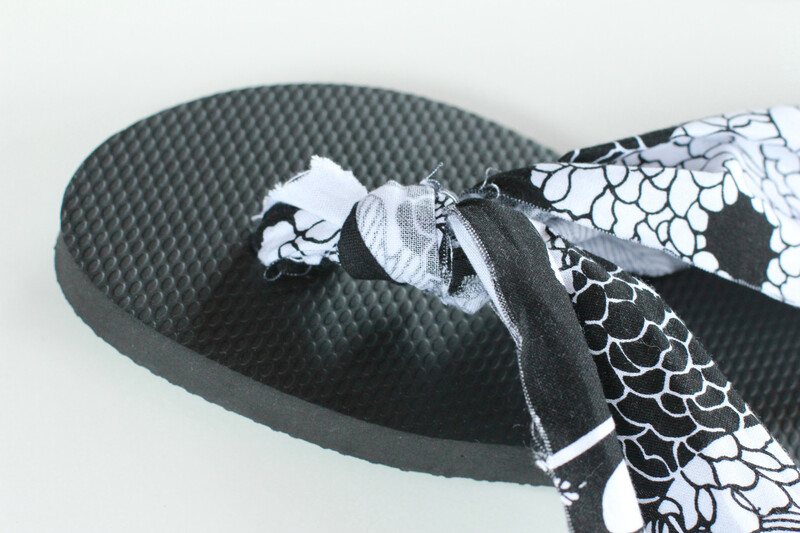 Tie a knot on the bottom of the flip-flop to secure the fabric. 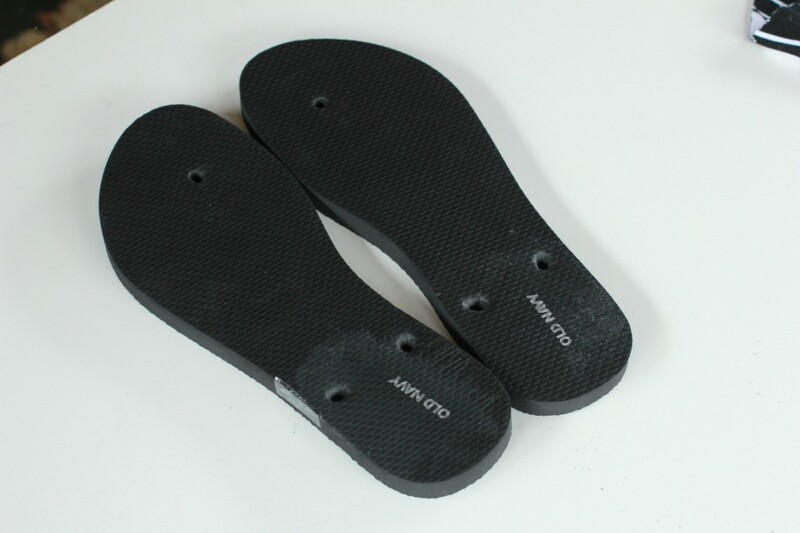 Pull it tight and nestle it in the small indentation on the bottom of the flip-flop. 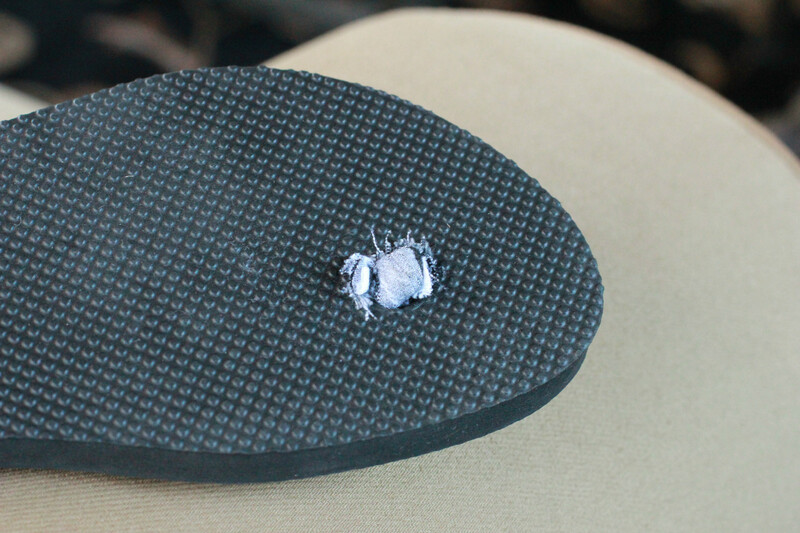 On the top of the flip-flop, tie a knot about an inch above the flip-flop bottom. The toe will go here. Tie another knot right behind the first one. 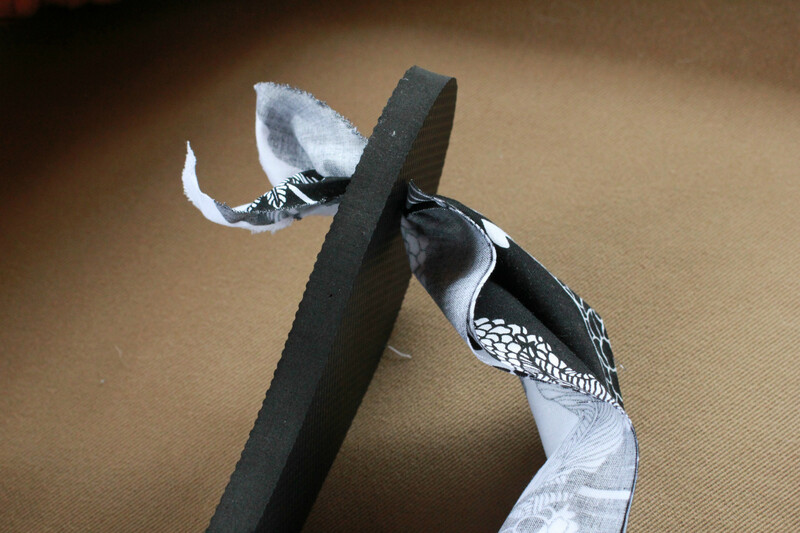 Poke each fabric strip through the holes on the other end of the flip flop and knot again on the bottom, adjusting to fit. Thanks to The Mother Huddle for the Inspiration! Totally in LOVE with this! Gonna do this as a project with my girls!!!!! I want to make these for my daughters’ bridesmaid and have been experimenting…any thoughts on how to keep them from fraying? If you’re worried about fraying, use a little Fray Check. 1/4 of a yard = 9 inches. 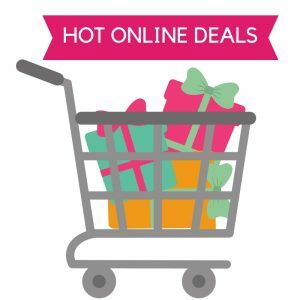 Make sure to buy 16 inches of fabric to get four 4 inch strips per set of flip flops! Do you feel the knots of fabric under your feet with these? I love these, but I can’t stand to have anything under my feet when I walk. Thanks. Slightly. If you have sensitivity issues, they may not be for you.